Proper for select designers including Cafune, Alexander McQueen, Maison Margiela, Miu Miu, and more. Available for selected designer styles. While supplies last. Proper for select styles while quantities last. Discount code is not valid on starred items. Available for sitewide when you spend €500 or more. The coupon code is available for selected products with already up to 80% discount. 3. On the next page you will be able to select the size, color and quantity of the item if necessary. Click on “Add to shopping bag”. 4. When the pop up image appears, click on “Checkout”. On the next page is the details of the items in your bag. Check that you have all you want. Below the table is a field for your promotional code, type the code from discount reactor into this field and click on “Apply”. Luisa Via Roma is one of the websites that offer the most sophisticated and elegant clothing apparel and accessories. This website Luisaviaroma.com has a huge selection that is exclusive. Luisaviaroma.com sells not only hundreds of designers that have established themselves to be some of the best in the world, but they also sell items from designers that are just now emerging into the world of fashionable clothing. 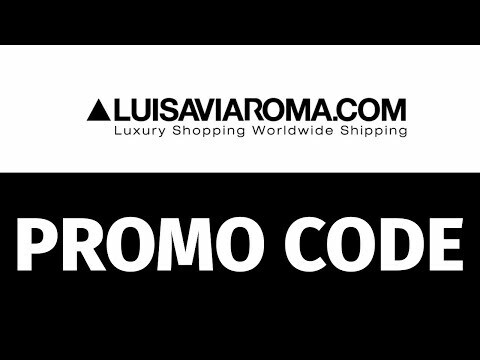 Shop at Luisaviaroma.com if you want to browse through clothing that is trendy and beautiful.